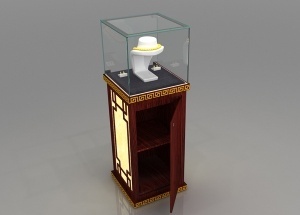 Jewelry store display fixtures:Height 40.0" , Depth 19.75" , Length 47.24" , tempered glass, halogen light strip, storage with hinged door (can lock), toe-kick, laminated deck, levelers, storage cabinet, dust resistant,electrical cord with switch. 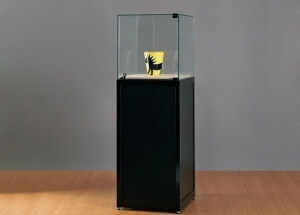 This black pedestal showcase are pre-assembled and are made with MDF and tempered glass with hinged door. 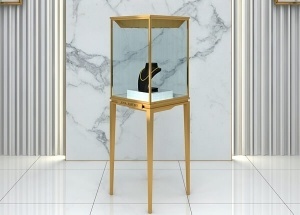 We offers standard laminate and veneer finishes this pedestal showcase. We can also custom glass pedestal to fit your project. 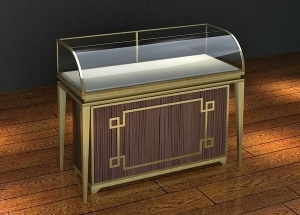 The tower display case are pre-assembled and are made with MDF and tempered glass. 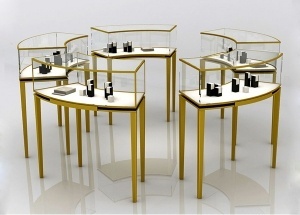 We offers standard laminate and veneer finishes this pedestal display stand. 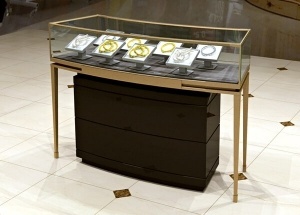 This metal jewelry display counter has a wooden storage cabinet, and used in jewelry shop, jewelry kiosk in mall. It'is made by wooden(MDF), metal, glass, LED lights, etc. 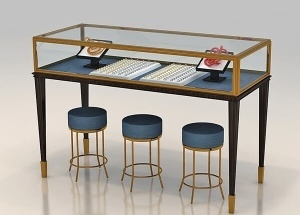 This round conner glass showcases have 5 pieces jewelry showcase. 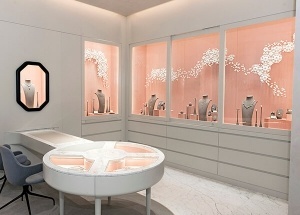 It's used in jewelry shop, jewelry kiosk at mall. 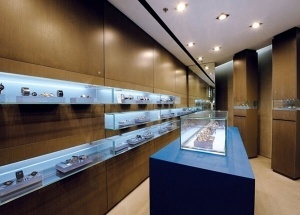 The metal showcases are made by metal, glass, LED lights, etc.